Avoca Beach is a major Central Coast holiday and surfing area. Avoca Beach is a dog friendly beach. Avoca Beach on the Central Coast features rocky headlands at each end of a long, golden beach. Situated among a residential coastline of wooded hills, beaches and lakes. Popular as a holiday destination, especially for families, it has a vibrant surf culture and a relaxed and friendly ambience. The long stretch of beach is perfect for both novice and experienced surfers, and it’s also ideal for recreational swimming for all ages. Feeling adventurous? Why not take a surfing class or dive down to the site of the Ex-HMAS Adelaide, a former Australian warship that was deliberately sunk to create an artificial reef. Avoca Beach also features an ocean rock pool near the Surf Life Saving Club, perfect for young children. Avoca has plenty of activities for the whole family including fishing, beach walking, rock walks, exploring the nearby parks and headlands, and simply relaxing in a quiet place. Pack a picnic and visit the tranquil Avoca Lake located behind the beach, hire a paddleboat and enjoy the peaceful recreational still-water retreat, pleasant walks and picnic areas. Avoca also has a comfortable, family friendly Cinema in town, as well as a number of child-friendly cafes, cosmopolitan restaurants and boutique shopping. The Avoca Beachside Markets is a multiple award winning event, they are held on the fourth Sunday of the month at the Heazlett Park Foreshore. There are over 100 stalls, with everything from homewares, jewellery, local arts and crafts, new and vintage clothing, to artisanal and international foods. With the ocean as its backdrop, this bustling community market is worth checking out, 9am to 2pm. 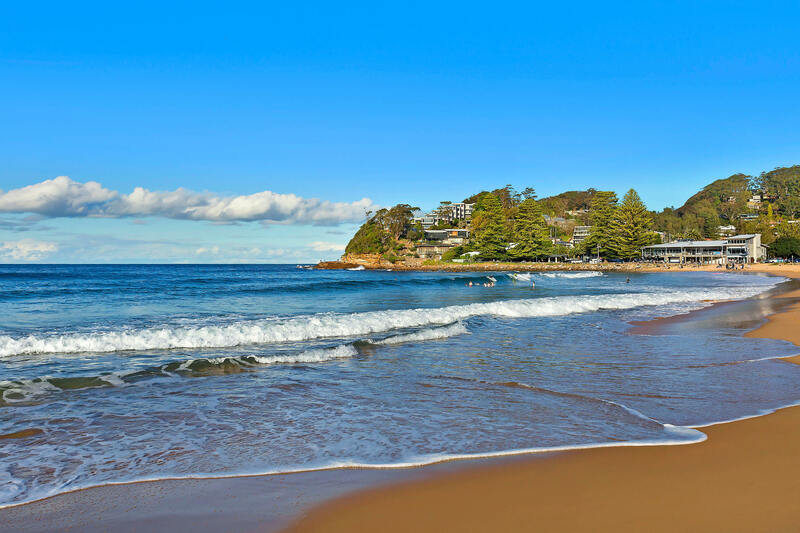 The emphasis on Avoca Beach and surrounding areas is on relaxation and beach or surf activities. Avoca is a patrolled beach, always swim between the red and yellow flags, surf lifesavers have identified this area as the safest spot to swim in the water. 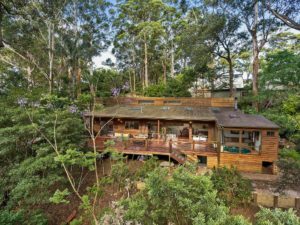 A totally awe-inspiring 70’s style Avoca “beach-house” with exceptional styling to create peerless levels of luxury and relaxing seaside ambience. 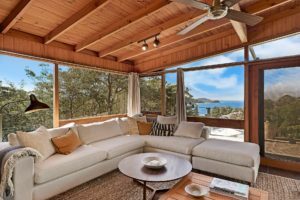 The house has a stunning coastal panorama framing North Avoca headland, Terrigal Skillion, Norah Head Light-House, north along the coast as far as the eye can see. There is private access to Ascot Avenue below and is approximately 400m to Avoca Surf Life Saving Club, beach, cafes and restaurants. A superbly presented “pet friendly” split level Cedar residence and holiday retreat embracing a semi-rural beachside ambience set on over half an acre (2686sqm) of lush green grounds and sub-tropical gardens enjoying a picturesque, tranquil bush reserve backdrop echoing the choruses of abundant birdlife therein. Spoilt for choice with spacious indoor, semi-covered and open outdoor living, dining and entertaining. The perfect place to relax with family, friends and pets, feathered or furry, by your side!